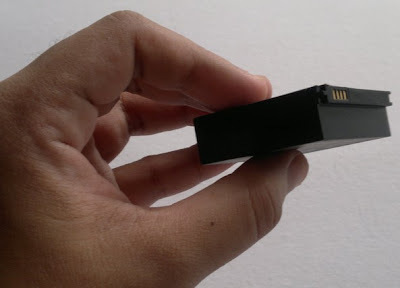 Solve Android Short Battery Life Problem and Have Peace of Mind! Is your smartphone's short battery life proving to be a constant source of stress for you? Do you leave the house in the morning with your smartphone fully charged and find yourself having to plug-in the charger again by lunchtime (even if you've followed all tricks and tips online on how to extend your phone's battery life like lowering screen brightness, turning off background data and vibrate feedback)? Don't fret. You're not alone. While mobile operating systems today are becoming more and more powerful, they are also becoming more power-hungry, which often leads to higher battery consumption and depleted uptime. Today, I present a lasting solution (which doesn't include always having your charger in your bag) to this utterly stressful problem. Last month, I discovered this company called "Mugen" based in Hong Kong, which makes extended batteries for practically all smartphones in the market. Mugen's batteries promise to improve run time, often doubling what's provided by the original brand replacement. 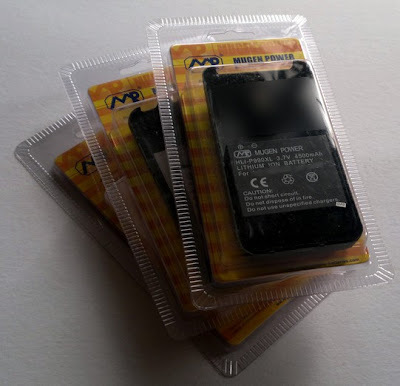 A few weeks ago, the company sent me several battery packs to test on some of my smartphones. Bigger Mugen battery packs that can alter your phone's regular dimensions come with custom-made Mugen cases. These cases nonetheless match your phone's overall design and are made to fit your handset perfectly. Yes, it's a rather hefty chunk and it makes the phone look a lot thicker once installed with the case, but then it also gives me up to 3 days of uptime with both Wifi and 3G turned on constantly! With this battery pack, I can go on an out-of-town trip with my smartphone and not worry about losing juice in the middle of the road. I've been using Mugen batteries on some of my phones for several weeks now and I haven't experienced any problem with them. Off hand, I think they are safe to use. If you want to try it out, you can order a Mugen battery for your phone HERE.